It is unusual for the AU to speak out against official election results in member states but it has now cast doubt on the preliminary results announced in DR Congo. It is high time for this, says DW's Mohammed Khelef. The DRC scenario is similar to what has happened elsewhere in Africa, with one big exception -- the electoral body CENI announced one of the opposition leaders, Felix Tshisekedi, as winner over the other opposition candidate, Martin Fayulu, who is believed by many to be the real choice of the voters. But neither the Southern African Development Community (SADC) nor the African Union (AU) had previously got involved in other countries at such a high level. In the DRC's case, the AU has not just demanded a halt to the announcement of final results, but also resolved to send a high level delegation, headed by Rwanda's President Paul Kagame, to Kinshasa to see how consensus between the political divide could be achieved. SADC had wanted not just a vote recount but also a government of national unity. Such specific wishes are unlikely to be fulfilled. This is doubtful for many reasons, but the biggest is the undemocratic nature of many African leaders, which has been a problem hindering democratic gains in their nations. Take the current head of the AU, Paul Kagame, who has been the only president of his country, Rwanda, for almost 20 years now. Kagame's own record on elections cannot be taken seriously. Last year, he won with 99 percent in the election that was followed by a constitutional amendment which ended a two-term limit for presidents and theoretically permitted him to remain in power until 2034. The amendment was approved by 98 percent of voters. Kagame is not alone when it comes to African leaders' approach to democracy and the rule of law in their own countries. That is why there are now so many questions, starting with why they have now, all of a sudden, resolved to take the DRC matter to this level. It is known that former colonial power Belgium expressed doubts from day one of the announcement. So did France and the United States. Could it be possible that, behind the scenes, the AU leaders have been persuaded to take a strong stand by these world powers? While I am not against seeing African leaders take a lead in finding solutions to African problems, my doubts concern more the nature of these solutions. Peace and tranquility must be the the focus of these efforts, but at the same time the leaders should not forget the values which accompany democracy -- freedom, human rights and participation by the people. 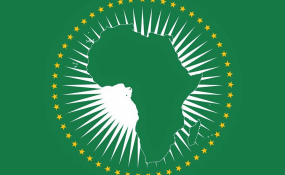 The time is over for our AU observer missions to toe the line of the electoral bodies. In August 2017, the AU observer mission okayed the Kenyan general elections. They were later nullified by the Supreme Court as being unconstitutional. The AU missions did not complain about elections in Gabon, Zambia, Chad nor Uganda in the last three to four years, although they were neither transparent nor fair. Let that era end!